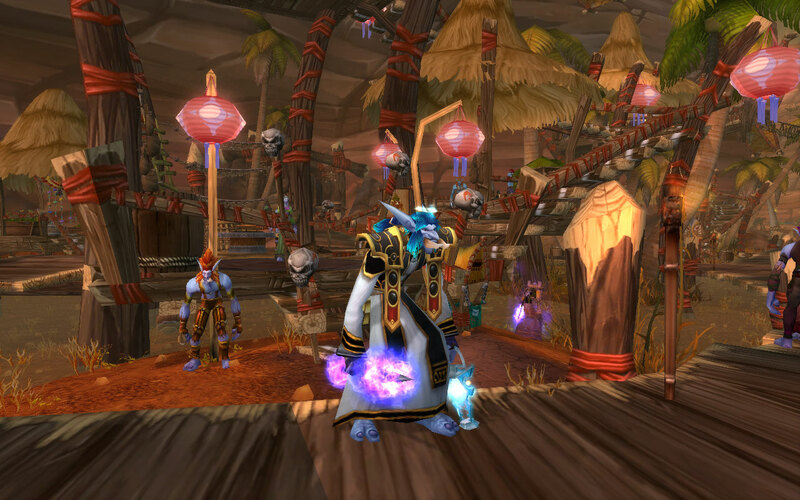 What an amazing weekend in WoW! I suppose that picture gives you a clue about part of my happy weekend, but let’s go through in order. I knew this weekend was going to be packed with action before it even started. How? 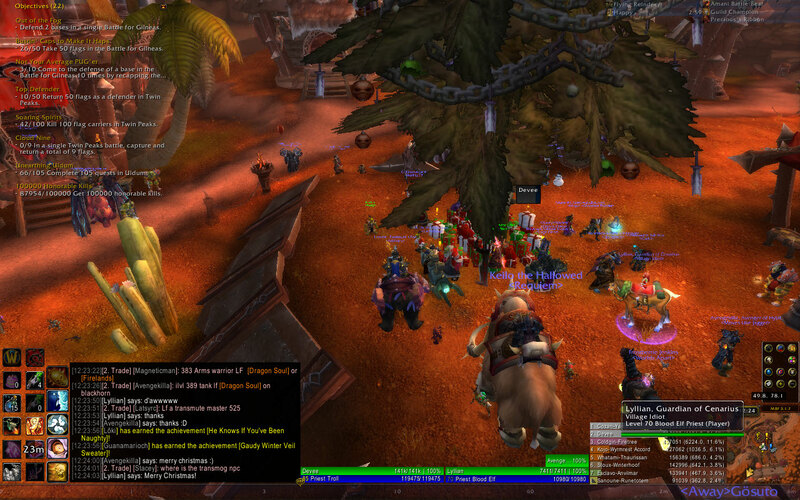 Because it was Arathi Basin weekend, of course! The Defilers were the last faction I needed to earn the “Conqueror” title. I was around 18,000 out of 21,000 reputation, and a win gives about 140 reputation. What’s the first step to doing well in a battleground? Scaring your enemy of course, and what better way than wearing the face of a wolf on your head?! It doesn’t look particularly priestly, but I suppose it looks trolly! 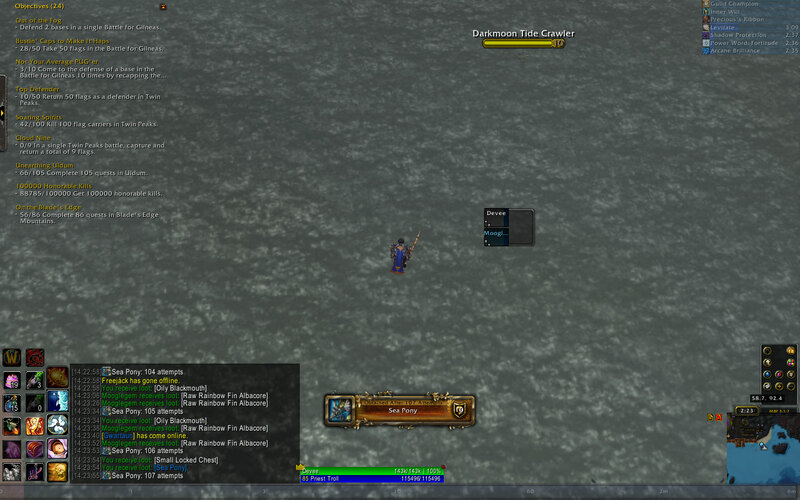 On Saturday, it finally happened; I hit exalted! After all that long grinding, I was finally Conqueror Devee! It was a long grind. 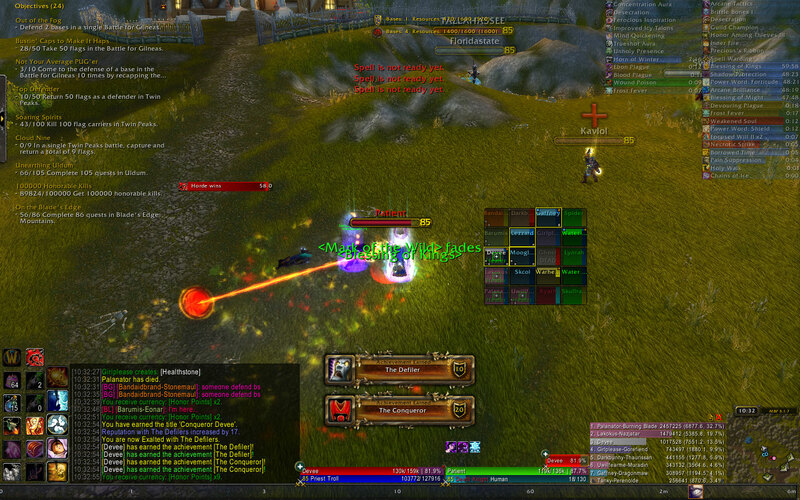 Keep in mind that I was around 50,000 HKs when I hit my first level cap at 80. Also of note – it’s a grind. It’s not skill. I’m actually not that great! 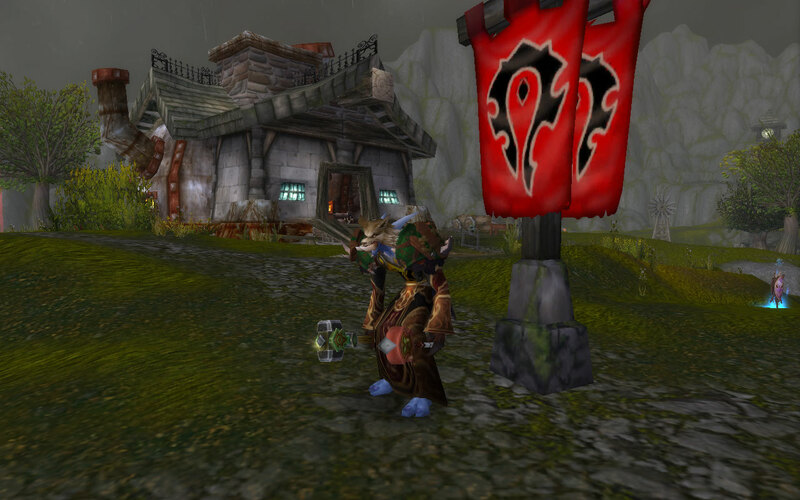 As an aside, Cynwise posted a great article called “The Problems of PvP Reputation Grinds in Cataclysm” on “Cynwise’s Battlefield Manual” today. 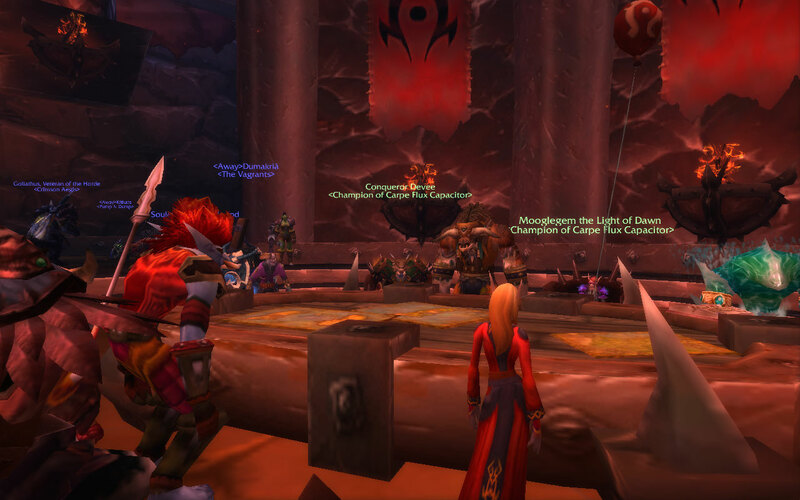 It’s a great read (as is the entire blog), and he even /salute’d me for reaching Conqueror! 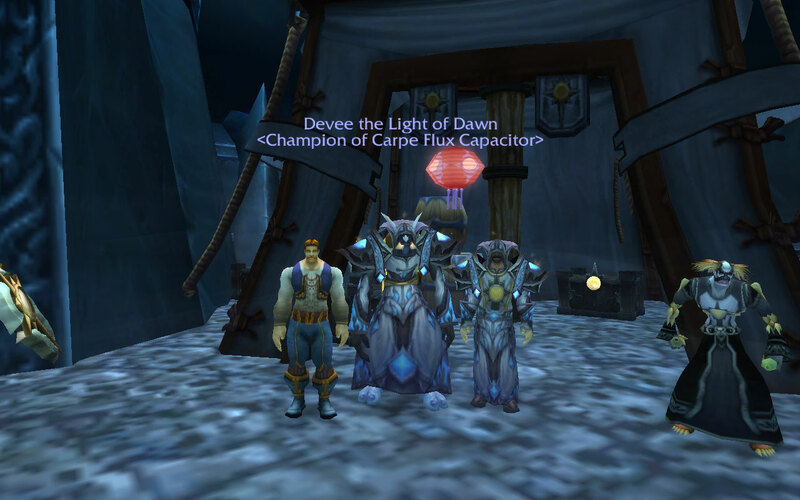 Then it was off to Icecrown Citadel for my second week of joining Buzzleetgear’s ICC 25H. That’s my T10 in the picture. It’s what I most often picture Devee wearing because I wore it for so long. 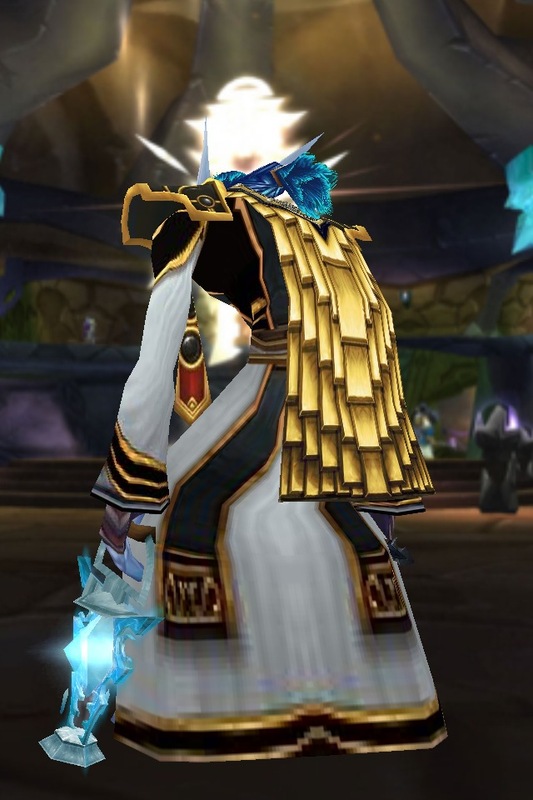 ICC was the current raid for about a year, and it was also the first current raid for which I was raid-ready, so that tier is very special for me. I needed two achievements. I needed Portal Jockey on Valithria, and I needed to be bit on the Blood-Queen. Buzzleetgear was nice enough to set me as the second bite! The first bite was for the person working on Shadowmourne. I’m guessing he set me as second since I needed so few achievements, which was nice of him. 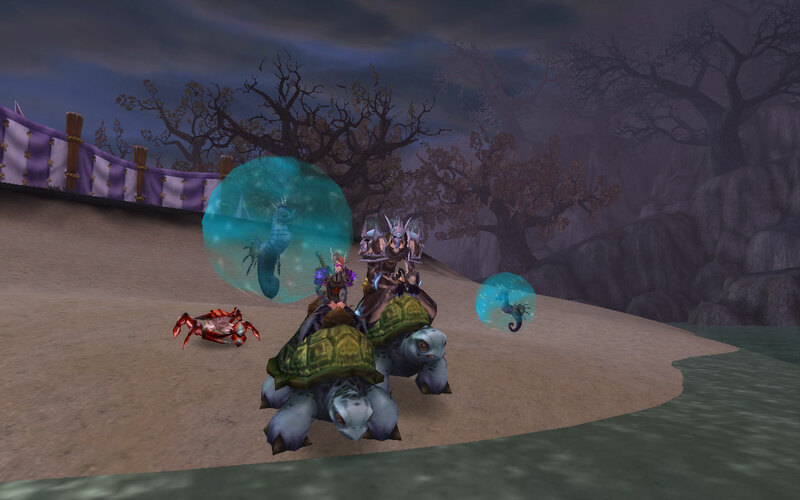 Then, on Valithria, I was designated the healer to stay outside of the Emerald Nightmare. It went well! I was so nervous about the achievement that I stayed inside Valithria’s hitbox, making sure to set my camera so I wouldn’t see the portals. It was freaking me out! Luckily, we were successful! 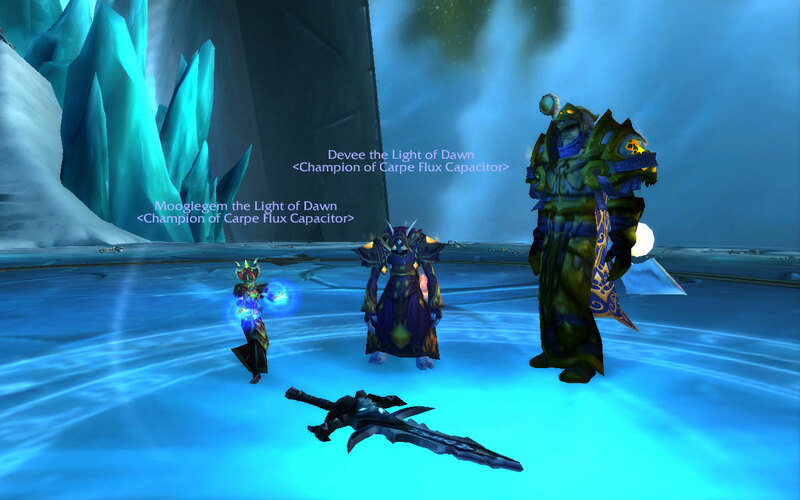 And then during the Lich King fight, I was set as the ranged stack point. Quite the honor! It took a couple pulls, but we did it again. By the end of the night, I received three heroic tier tokens (and a Icebound Frostbrood Vanquisher that you can see at the top of this post). And that brings me to my final screenshot of the day. How do I look in my Heroic Sanctified Crimson Acolyte gear? Wonderful? Priestly? Amazing? Yes to all of this. I’m looking forward to running with his group more in the future even though I won’t need it. 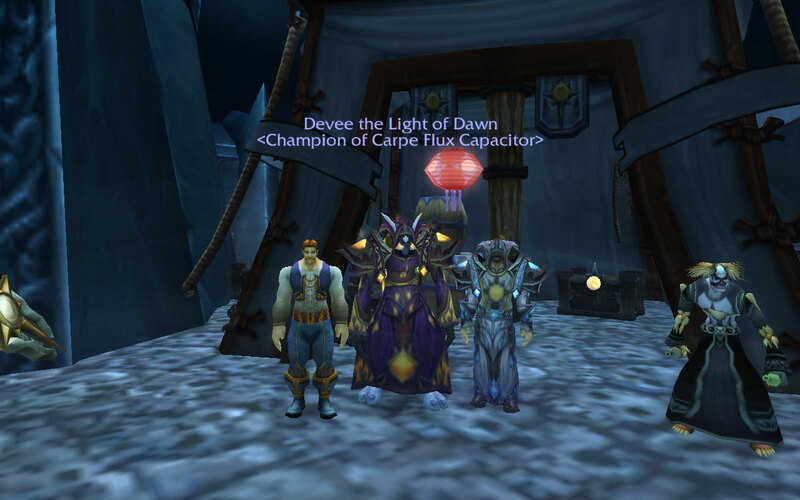 ICC is very fun when you haven’t been running it for a year, and Buzzleetgear is a great leader! 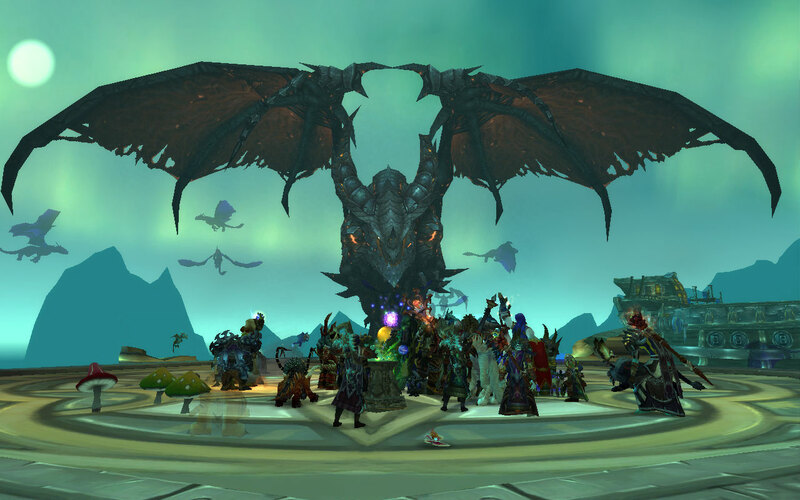 We might not have progressed in Dragon Soul this week, but we still progressed! Mooglegem and I finally Icecrown Citadel 25 Heroic. We couldn’t help but proudly sport our new “the Light of Dawn” titles here. 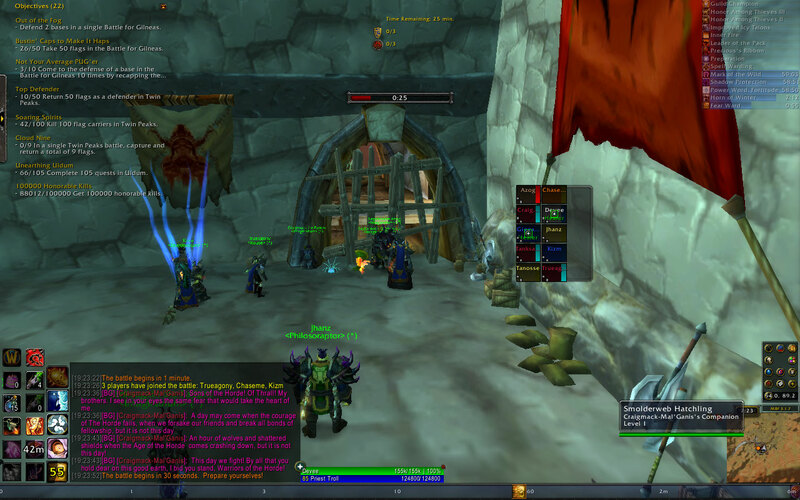 It seems that every week a paladin named Buzzleetgear leads a ICC 25H on our server. It was a lot of fun, and I’ll look for the run in the future. We had a few problems, but nothing to really bother me. Going into the raid, I needed seven more achievements to get Glory of the Icecrown Raider (25 player) and the Icebound Frostbrood Vanquisher – the four heroic wing achievements, “Once Bitten, Twice Shy” on the Blood-Queen, “Portal Jockey” on Dreamwalker, and “Neck-Deep in Vile” on the Lich King. 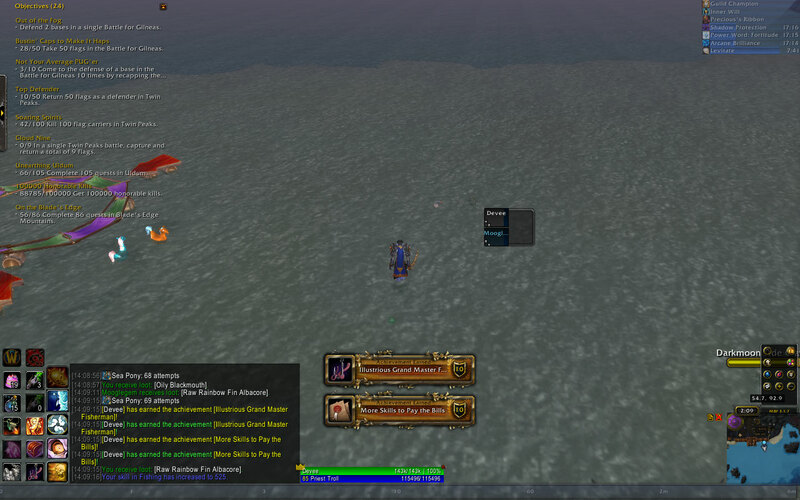 I managed to earn the heroic wing achievements as well as Neck-Deep in Vile. I don’t think the other two achievements should be too hard in the future. 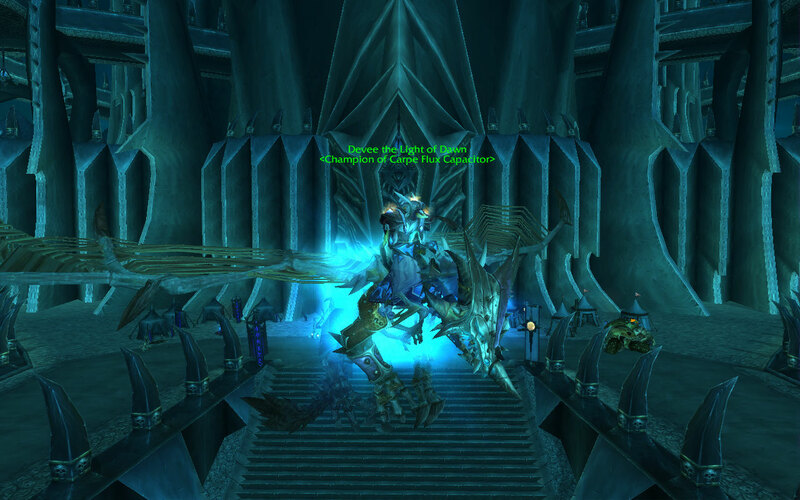 I’m definitely feeling excited about the Icebound Frostbrood Vanquisher being within my reach! I also snagged a heroic tier token. Heroic sanctified tier 10 is a beautiful light blue while the sanctified I had now is orange. The blue looks gorgeous and very “priestly,” I think. I hope I get some more tokens in the future! 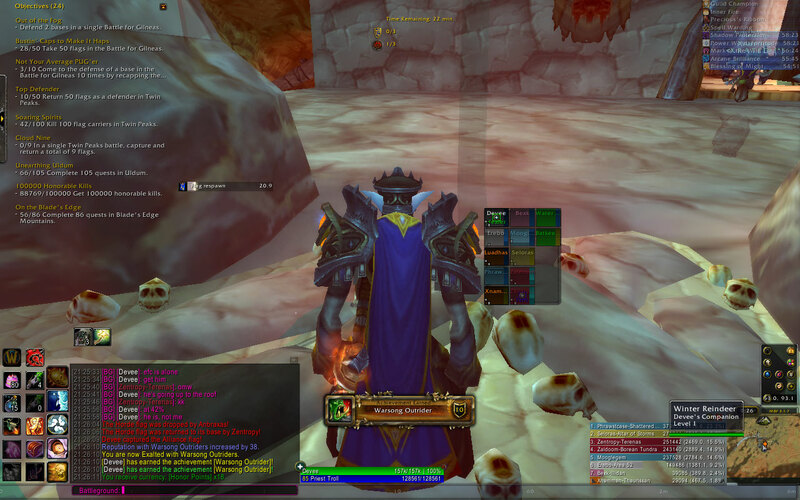 Is it sad that my best PVE title is from Wrath? This week we managed to kill Hagara and Ultraxion! 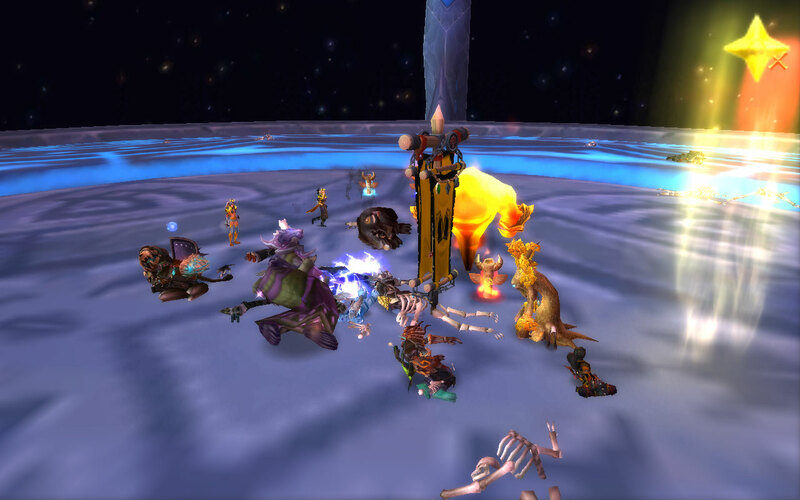 It was only our second time killing Warlord Zon’ozz, and we one shot him with no problems. That alone made me happy. Then it was on to Hagara. We did wipe a few times to placement in the non-primary phases, but she was still very easy. It’s very similar to LFR. Of course, we have to be more careful about losing people to ice walls. Also, we have to make sure to break people out of ice tombs. 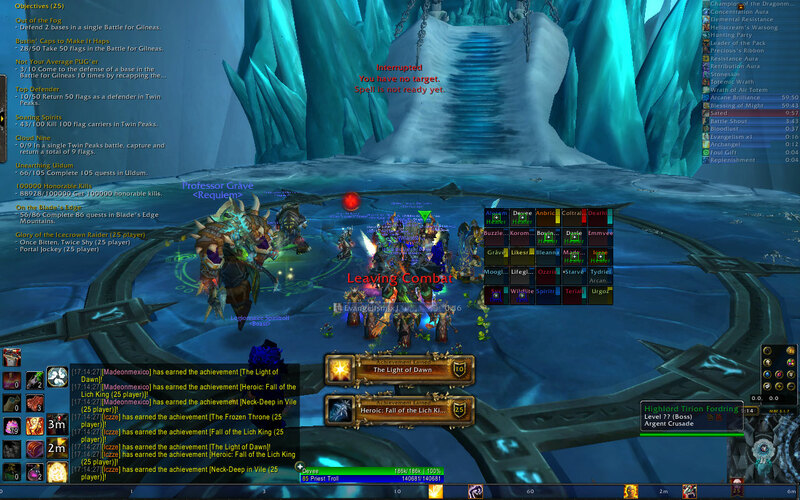 My only issue was that I had to pay attention to ice tombs to keep the tanks from getting LOS’d. Ultraxion was bit of a bigger problem I think, even though I expected him to be easy. Luckily I never screwed up Heroic Will, but mistakes were made. I don’t remember one person in particular having continually trouble. Rather, I think different people would slip. Overall, a very easy fight. I don’t imagine us ever again getting stuck on Warlord Zon’ozz, Hagara, or Ultraxion. That’s exactly how I like it. RNG in fights is bad. I like to get stuck, try repeatedly, and then never get stuck again once we’ve acquired the skill to overcome the challenge. I’ll be out of town for the next raid night, but if I’m right about us not getting stuck again and they manage to get a full raid group, I’d suspect a Blackhorn kill next week. hopefully they can fill without me!